* Best overall bait acceptance (kills finicky and normal roaches). * Works even where sanitation is poor and other food is available. 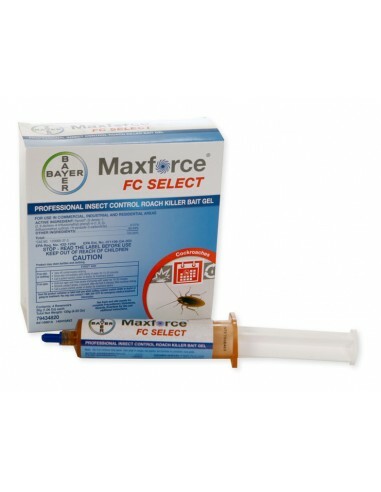 * Extensive lab and field testing proves Maxforce FC Select attracts and kills normal and bait-averse German cockroaches from problem sites around the country. * Maxforce FC Select outperforms Avert and Siege. * Fast control of even large roaches. * New bait gel retains moisture content. * Superior control means satisfied customers, less wasted time, fewer callbacks. 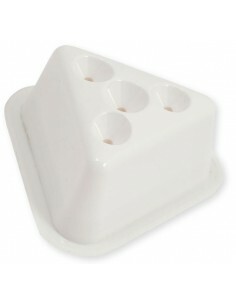 * Domino Effect works through ingestion and contact in hard-to-reach and inaccessible areas. One contaminated roach kills others where they live and breed through cannibalization, emetophagy and cross contact. * Labeled for both indoor and outdoor use, including commercial kitchens. * Sticks to vertical surfaces for flexible, easy application. 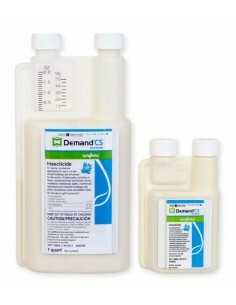 * Stable over a wide temperature range. * Ideal for use with Maxforce bait stations. 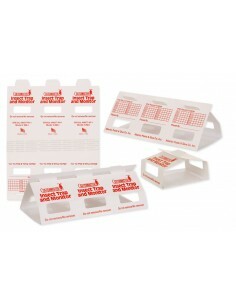 * Four 30-gram reservoirs per box, five boxes per case. 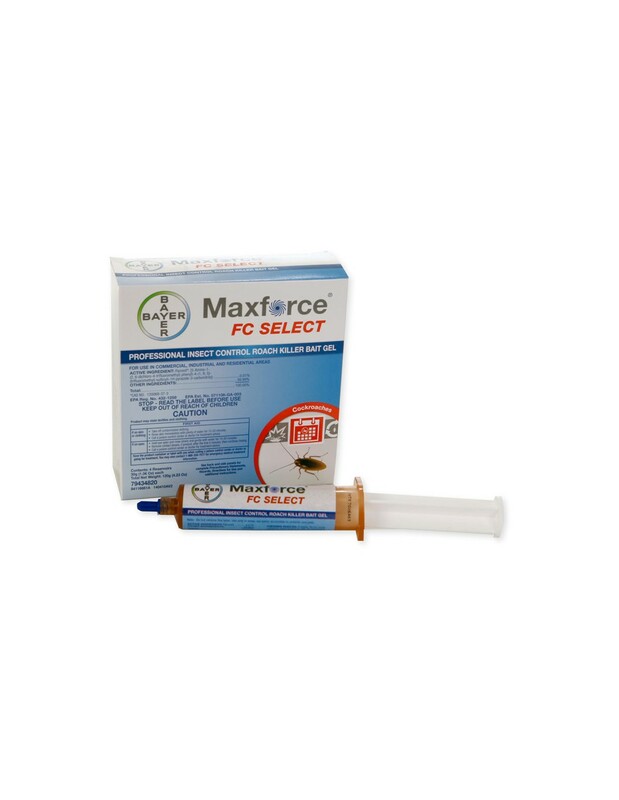 * Designed for use with the Maxforce Bait Injector or Piecemaker for precise application. For use in commercial, industrial and residential areas. Use only in areas not easily accessible to children and pets. Do not treat food preparation surfaces. 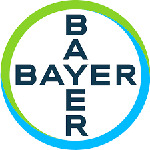 Do not apply bait gel to areas which have been recently sprayed with insecticide, and do not spray insecticide over gel as it may cause the bait to become repellent. INDOOR USE: Applications in Food/Feed Handling Establishments: Application within food/feed areas of food/feed handling establishments is limited to crack and crevice treatment only. 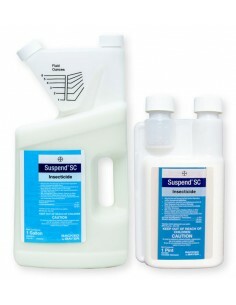 If gel contacts an exposed surface where food is handled, remove gel and wash exposed surface with an effective cleaning compound followed by a potable water rinse prior to use. 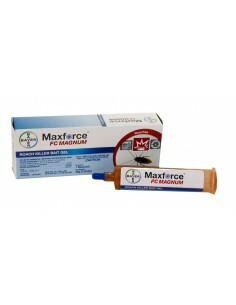 Apply with Maxforce Bait Injector directly into cracks and crevices. Place applicator tip 1/2 inch into cracks, crevices, holes and other small openings where roaches may be a problem. Apply small amounts of gel per spot. Do not apply bait to areas where food/feed, utensils or processing surfaces may become contaminated. Do not apply bait to areas that are routinely washed such as cracks and crevices in tops of tables, food/feed preparation and prepared food holding surfaces as bait may be removed by washing. Do not apply bait to surfaces where the temperature exceeds 130'F as bait may run. Examples include, but are not limited to, portions of stoves, ovens, grills, fume hoods, heat lamps, coffee urns, steam tables, toasters, fryers, dishwashers and hot water pipes. Care should be taken to avoid depositing gel onto exposed surfaces. 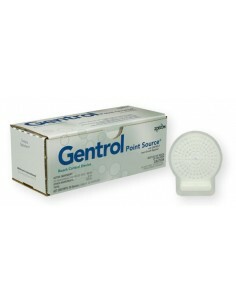 If gel contacts an exposed surface, remove gel and wash exposed surface. Food/feed areas include areas for receiving, storage, packing (canning, bottling, wrapping, boxing), preparing edible waste storage, and enclosed processing systems (mills, dairies, edible oils, syrups). Serving areas are also considered a food/feed area when food is exposed and facility is in operation. Apply bait in small amounts between different elements of construction, between equipment and floors, openings leading into voids and hollow spaces in floors, walls, ceilings, equipment legs and bases, around plumbing pipes, doors and windows, behind and under refrigerators, cabinets, sinks, closets, stoves and other equipment where cockroaches hide. During follow-up visits inspect bait placements and reapply when necessary. Application of this product in food/feed areas of food/feed handling establishments other than as a crack and crevice treatment is not permitted. Break-tip Reservoir: Prior to use, break the snip-tip closed end of the gel reservoir at the scored line. 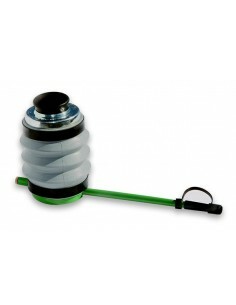 After use, the reservoir may be resealed with the enclosed black outlet cap. The black outlet cap is reusable. Directions for changing reservoirs: With the arrow on the drive rod pointing up, pull the drive rod out as far as it will go. Remove the empty reservoir. Do not reuse empty reservoirs, place in trash. Reservoirs that still contain gel can be sealed with the end cap and outlet cap for future use. To attach a new reservoir follow the above directions. Gel placements should be at or near harborages or aggregation areas, such as corners, or cracks and crevices. Numerous smaller placements will provide faster control than fewer larger spots, especially for German cockroach control. For outdoor use (adjacent to home -or- structure): Place bait in areas adjacent to structures where roaches may nest or breed. Apply bait to potential points of insect entry, such as eaves, sills, and expansion joints. Apply bait in protected areas whenever possible. Environmental stresses such as direct sunlight and water will reduce the residual effectiveness. Priority treatment areas may be identified by visual inspection of such areas listed above or aided by trapping techniques or spot flushing. Place in cracks or crevices adjacent to structures where large roaches (American, Oriental, Brown, Smokey Brown) may rest or breed. Apply bait to potential points of insect entry, such as eaves, sills, and expansion joints. Apply bait in protected areas whenever possible. Environmental stresses such as direct sunlight and water will reduce the residual effectiveness. Most important locations: Behind appliances, along baseboards, under appliances and under sink. For use on German cockroaches that will not feed on standard baits. Contains select ingredients to attract and kill roaches. For moderate to severe infestations or german, brown banded, american, smokey-brown and oriental cockroaches.